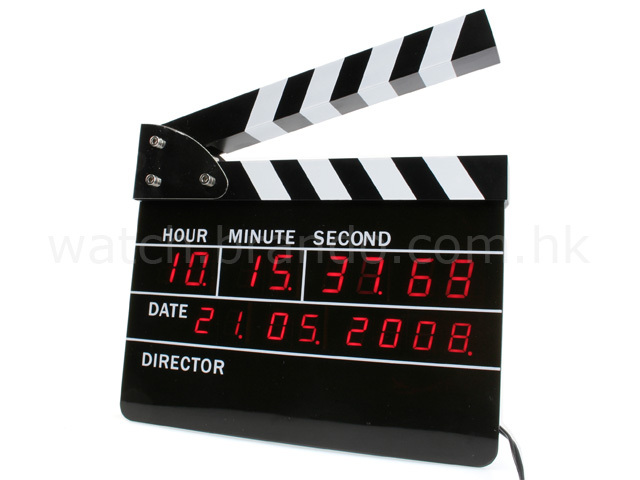 Film Action Board alarms lasts as long as 10 minutes. 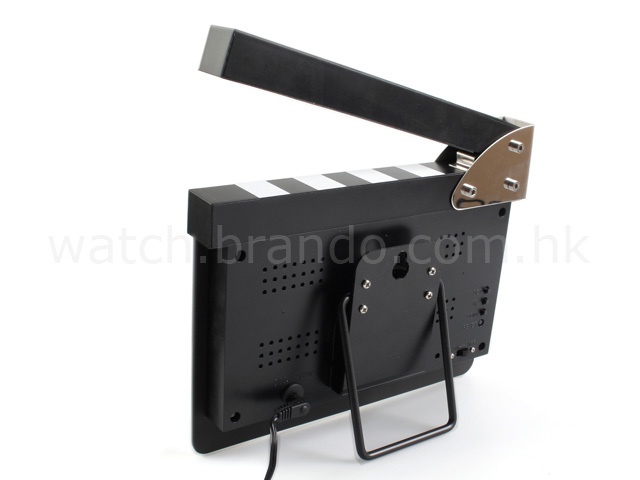 The alarm can be stopped by clipping the board. 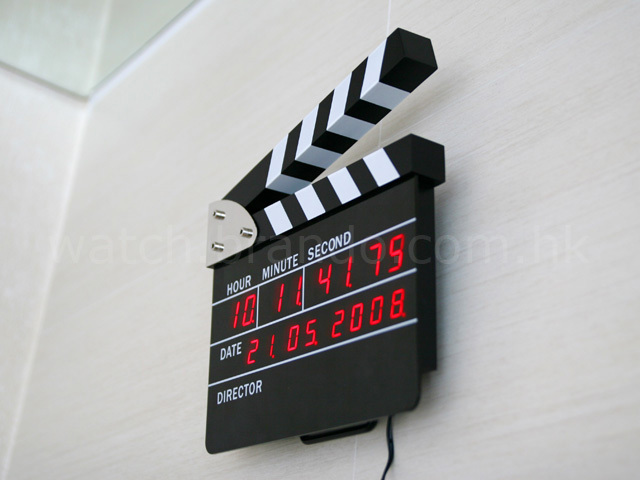 With stand and wall-hanger, so that it can be a table clock or wall clock.